Using a knife, the man identified as Khamzat Azimov killed one person and wounded four others in a festive area near Paris' old opera house. Police shot him to death as he charged them, witnesses said. Less than 24 hours later, investigators were questioning three people — his parents and a friend. The Islamic State group quickly claimed responsibility for the Saturday night attack via its Aamaq news agency, saying Azimov was their "soldier" acting in response to the group's calls for supporters to target members of the U.S.-led anti-IS military coalition, a stock response. France's military has been active in the coalition since 2014. On Sunday, Aamaq released a posthumous video said to show the attacker calling on Muslims in Europe to "take action in the land of disbelievers" if they can't travel to the crumbling caliphate in Iraq and Syria, which has been pounded by coalition forces. The man said French citizens should pressure their government "if you want it (attacks) to end." SITE Intelligence Group, which monitors jihadi propaganda, obtained the video, which could not be independently authenticated. The young man's face is covered, except for his eyes, with a black bandanna and the hood of his coat. The video was made outside amid trees and falling rain. French authorities had no comment. Police detained Azimov's parents in the northern 18th district of Paris and held a friend from Strasbourg in that city on the border with Germany in eastern France, French officials said. The friend was detained Sunday afternoon. A security official said investigators searched the Paris residence of the parents. The official wasn't authorized to speak about the investigation and insisted on not being quoted by name. 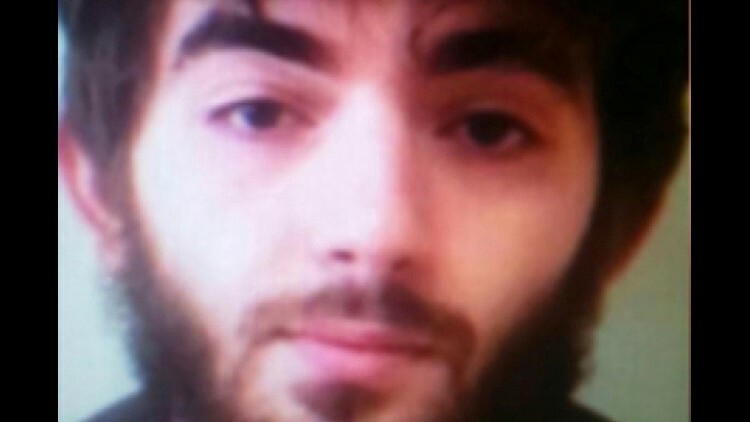 French media reported that the family had lived in Strasbourg, and it wasn't clear if the suspect moved to Paris with his parents. Witnesses reported hearing the man shouting "Allahu akbar," the Arabic phrase for "God is great," during the attack that happened at about 9 p.m. in a lively area near the Opera Garnier. Chechnya's president weighed in after the rampage, perhaps striking a nerve by insisting Sunday that France bears responsibility for the knifings. He said Azimov held a Russian passport only until he was 14 years old. "I consider it necessary to state that all responsibility for the fact that Khamzat Azimov went on the road of crime lies completely with the authorities of France," Chechen President Ramzan Kadyrov said. "He was only born in Chechnya, and his growing up, the formation of his personality, his views and persuasions occurred in French society." Bar patrons and opera-goers described surprise, confusion and panic as the drama unfolded, with people crawling under restaurant tables, and ordered to stay inside while the police operation was underway in the 2nd arrondissement, or district, on Paris' Right Bank. "I was working in the restaurant and suddenly I heard a woman screaming ... he came and attacked her," recalled Jonathan, a witness working nearby who wouldn't provide his last name. "That's when the panic started. Everyone started screaming and trying to reach our restaurant. ... The attacker just kept walking around with his knife in his bloodied hands." "They kept doing CPR for what seemed to be a really long time and, in the end, he passed, and they put the sheet over him," Carolina Melo said. She said she and her aunt had been in their hotel, went out to investigate the noisy confusion nearby but retreated after hearing several gunshots. The scene "was kind of a mess," she said. "The French authorities with all the intelligence help the United States can provide will do our best to unpack this in the coming hours," Pompeo said Sunday on "Fox News Sunday." In a quarter of theaters and cafes, "It's a good life and that's probably what these people want to try to kill," said Arnaud Contival, owner of an IT company. "I think that it's the basics of terrorism ... anybody can be in any street, anywhere and they (attackers) are successful for a moment."